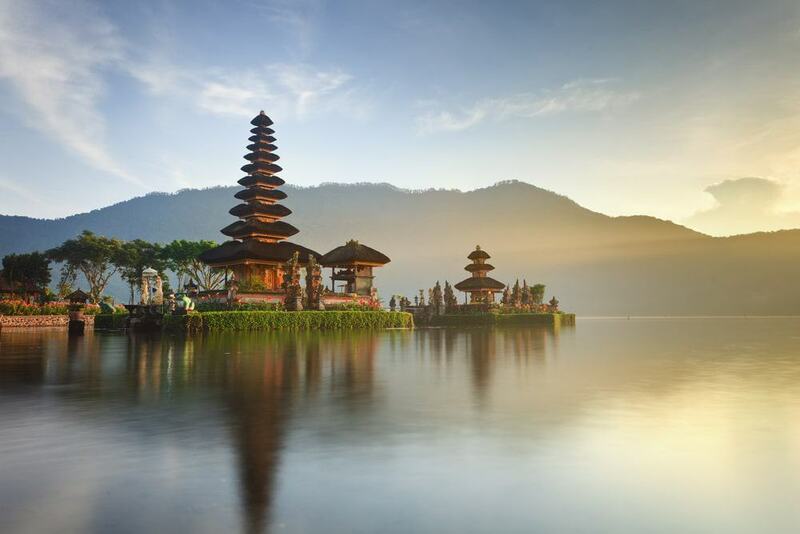 By far the most popular destination in Indonesia, Bali has a number of attractions to cater to a wide variety of tourists. There are excellent cultural experiences, beaches, and entertainment strips across the island. These mean the island attracts many different types of visitors, from backpackers to party tourists and even the luxury market. As the island is so diverse, a great way to experience the many facets is to take a tour. 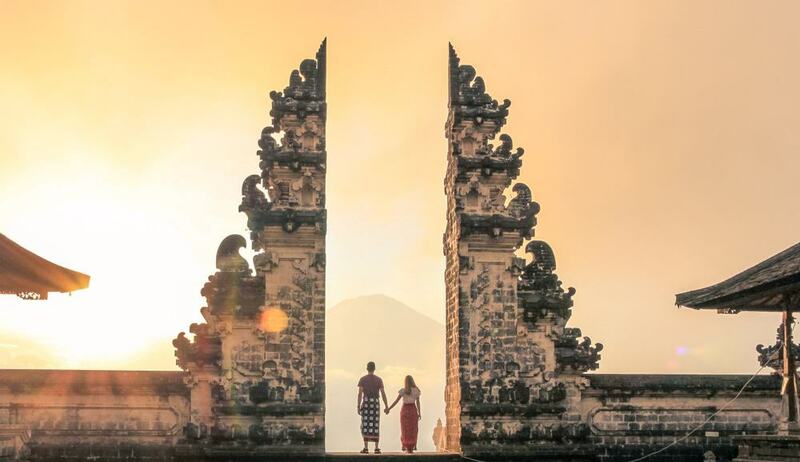 Whether you are looking to explore the lush rainforest and imposing volcanoes, or learn more about the Balinese way of life, there are plenty of great tours on offer. These are the 15 best tours you can take in Bali. Bali is one of the most Instagrammed destinations in the world, and many of the most scenic spots are scattered around the island. This tour allows you to visit all of these attractions, with a qualified guide helping you to find the best angles and take impressive shots. You will visit places such as the Gates of Heaven, Ubud rice fields, and the jungle swing. Hotel transfers are included from all of the main resorts on the island, as well as transportation between each location and entrance fees to all of the attractions. This is a great way to show of your trip to your followers online. 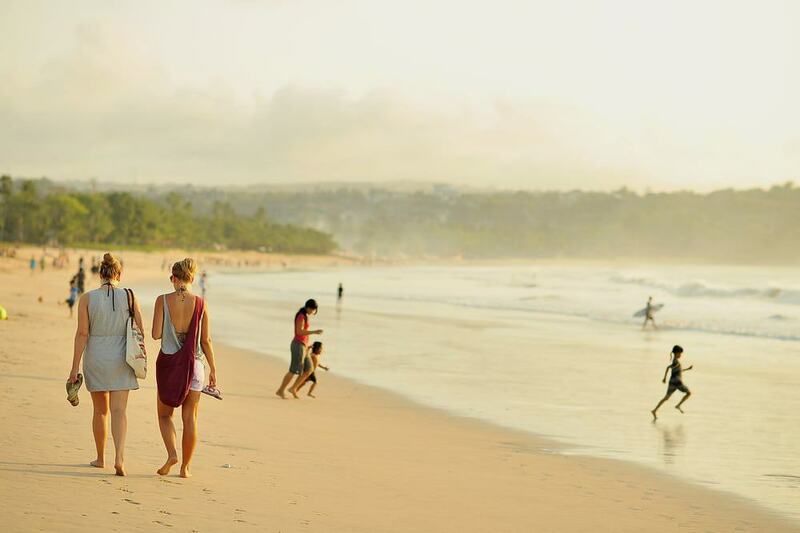 Seminyak is one of the most popular beach resorts on the island, and this tour lets you live the high life on an adventure through the area. You will be taken to Sisterfields café where you can enjoy a leisurely brunch. Afterwards, your guide will show you the main shopping district in Bali and provide you with a free coffee from Revolver. The tour finishes at Potato Head Beach Club where you can enjoy a free beer or dinner. Spending credit is provided at Sisterfields and Potato Head Beach Club, allowing you to choose your own food and drink. 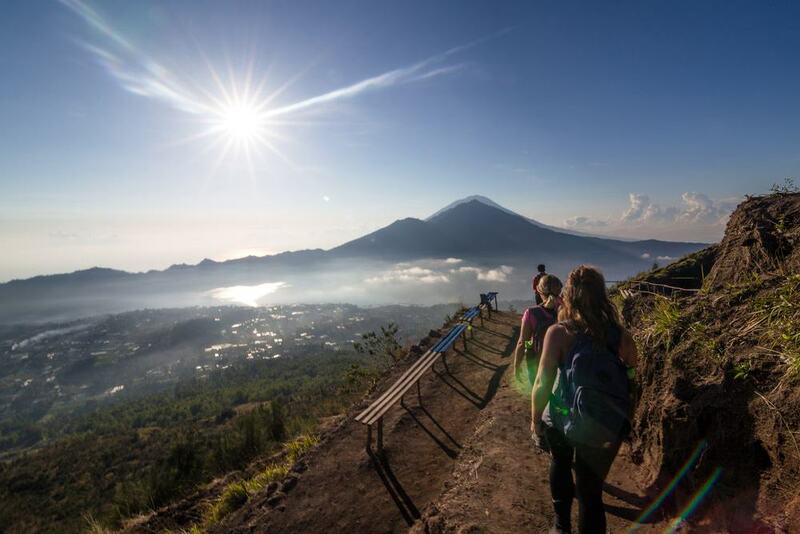 Starting in the early morning, this tour lets you safely ascend Mount Batur just in time for sunrise. Towering over Ubud, Mount Batur provides panoramic views to the surrounding volcanic landscape, including three other volcanoes. Once on top of the mountain, you will be rewarded with a hearty breakfast cooked using the steam from the volcano. On your way back down the mountain you will get to explore three other craters, and admire mesmerising views over Lake Batur. You can also opt to add a coffee plantation tour, where you can sample some Luwak coffee. The islands off the coast of Bali are surrounded by gorgeous coral reefs filled with tropical fish. With this tour you will be given snorkeling equipment and shown the best places around the coasts of Nusa Lembongan and Nusa Penida. You will be transferred from your hotel to Sanur, where you will embark on a short sailing trip to both islands. On the islands you will be given a welcome snack of fried bananas, and a buffet lunch is provided after the snorkeling. As well as snorkeling, you will also enjoy a short kayaking trip through native mangroves. 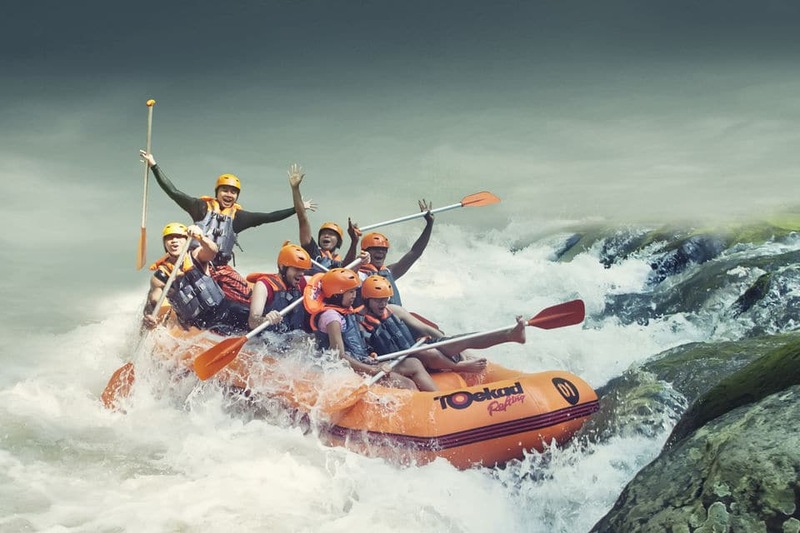 Bali is full of awesome adventure activities, and this tour allows you to enjoy rafting down the Arung River. The two-hour rafting trip will take you over white-water rapids, through beautiful landscapes and past many great examples of native flora and fauna. After your rafting adventure you are also provided with a buffet lunch, where you can enjoy spectacular views over the Arung Valley. Pick up and drop off from most major resorts on the island is included, as well as all safety equipment and insurance. 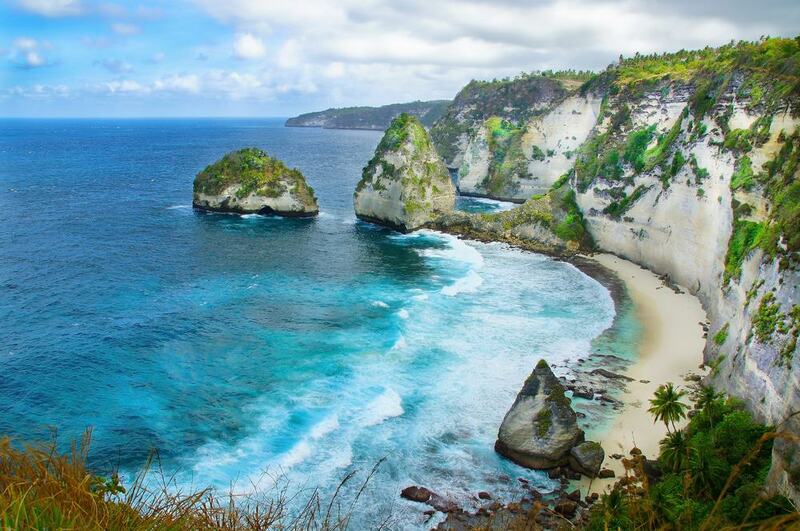 Nusa Penida is a small island just a short boat journey away from Bali, and this tour is a great way to get away from the bustling tourist scene of the main island. You will be able to relax on white sand beaches, admire the beauty of cascading cliffs, and bathe in the natural pools dotted around the small island. Your guide will also take you to some of the lesser-known beaches around the island, giving you peace and quiet to enjoy the island at your own pace. Hotel pick up and drop off from across Bali is included. 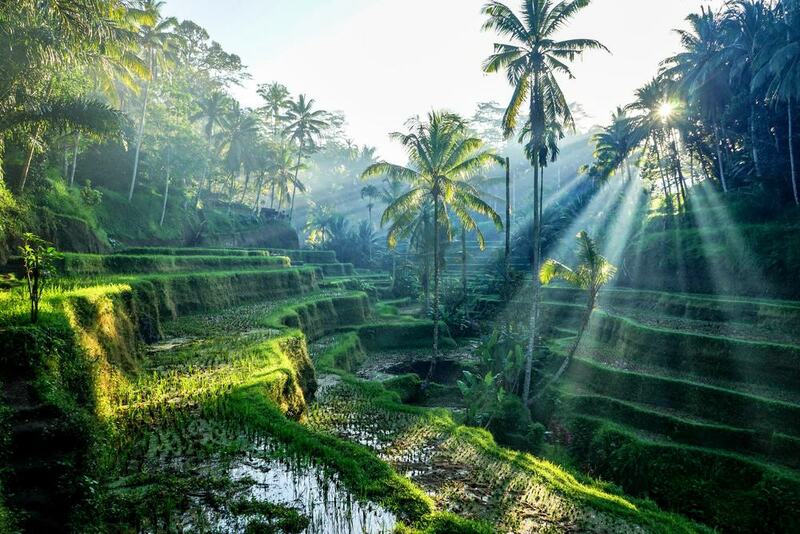 South East Asia is famous for its picturesque rice terraces, and this tour takes you to some of the most magnificent sights across Bali. As well as the scenic rice terraces, you will also visit the Sacred Monkey Temple, and check out the volcanoes of Kintamani and Mount Batur. The tour also has a cultural aspect, allowing guests to try out traditional wood carving and taste civet cat coffee. A full buffet lunch is included, as well as transport from most resorts across Bali. Elephants are magnificent animals that attract a lot of attention from tourists, however often there are concerns about the welfare of the animals. Though elephant rides should be avoided, there are plenty of experiences across Indonesia that allow you to ethically interact with elephants. This experience allows you to get up close to the elephants as you help care for them and learn about their lives. 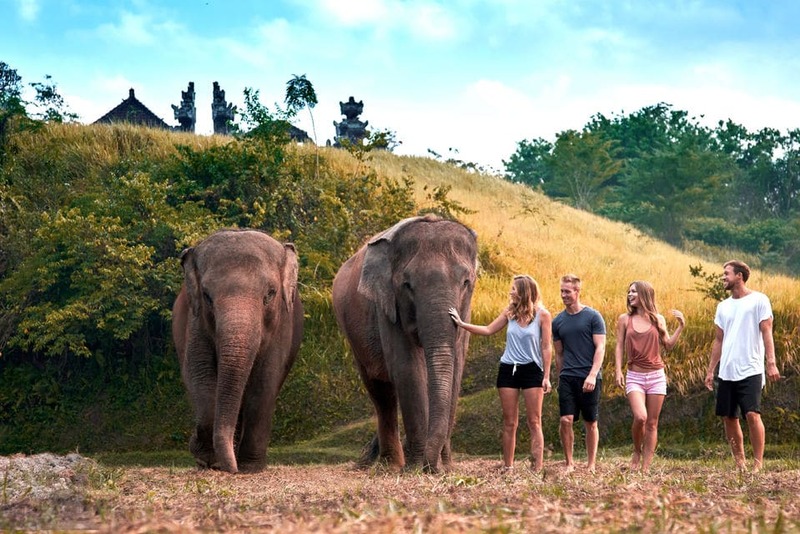 The elephants at Bali Zoo have all been rescued from mistreatment in other areas of Indonesia, and this experience gives you the chance to learn about conservation efforts. Lunch is also included, as well as return transfers to other areas of Bali. If you are only in Bali for a few days and want to pack in as much of the main attractions as possible, this tour is a great way to hit the main sights of the Northern half of the island in a single day. You will visit the Handara Gate, Lake Bratan, and the Jungle Swing, giving you plenty of opportunities to get great photos from your trip. Cultural visits and treks through the Balinese nature are also included. You can also bathe under a waterfall to finish off your experience. 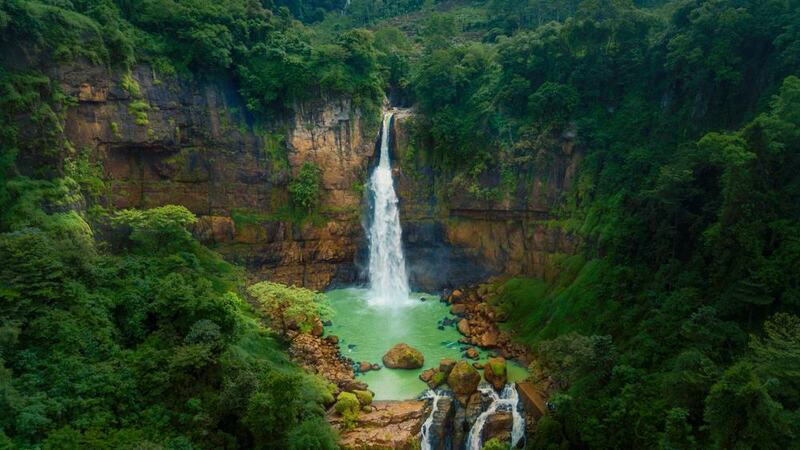 The Indonesian rainforest is full of lush vegetation and cultural delights. This tour lets you experience the jungles of Ubud and includes a visit to the famous jungle swing. You will also get to interact with the indigenous people who inhabit the rainforest and learn all about their culture. A typical lunch is included, before continuing on to the volcanoes, rice paddies, and coffee plantations in the area. Hotel transfer within Ubud is included. With this tour you will be able to set your own itinerary with the help of a local guide. This is a great option if you need help getting around the island and want to visit some attractions a bit further afield from your accommodation. Lasting for 10-11 hours, your guide will take you to the best attractions in Bali based on your interests. As it is a private tour, you have complete freedom to spend as much time as you want at each location, as long as you take travelling times into account. This tour can accommodate groups up to four people. 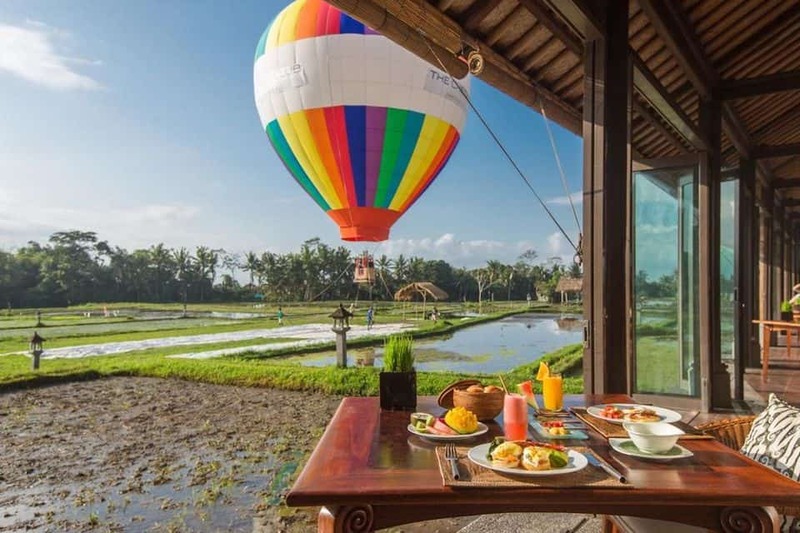 This hot air balloon experience gives you a unique way of admiring the sweeping Bali landscape. A fully licensed balloonist will take you into the skies and give you plenty of time to admire the view and take photos. After your balloon experience, a complimentary meal is included. There are three departures per day and depending on departure time, you will be able to enjoy a typical breakfast, afternoon tea, or dinner. You will also be given a complimentary souvenir to take home. This is another fantastic tour of North Bali, allowing you to take in the majesty of the landscape during sunrise. A boat trip is included, where you will be able to spot dolphins and learn about the marine life surrounding the island. You will then be taken to Gitgit Waterfall, and onwards to the Ulun Danu Bratan Temple. This 10 hour tour departs at 3am, however pick up and drop off from North Bali resorts is included. If you prefer tours later in the day, this one allows you to admire the scenery during sunset. You will be taken to Uluwatu Temple for the sunset and given some free time to explore the area and take photographs. 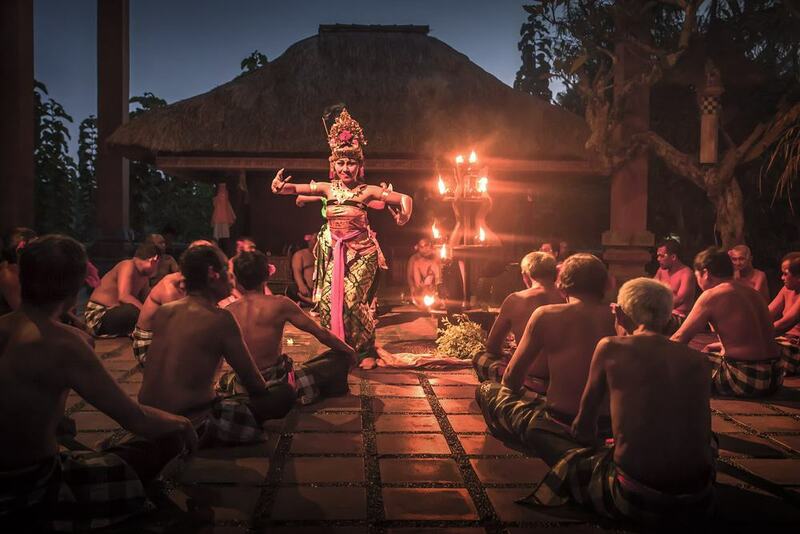 After the sunset you will be treated to an impressive Kecak fire dance display on top of a cliff. You will then be invited to enjoy a barbecue dinner on Jimbaran Bay, before returning to your hotel. Transportation is by private car, so group sizes are limited. 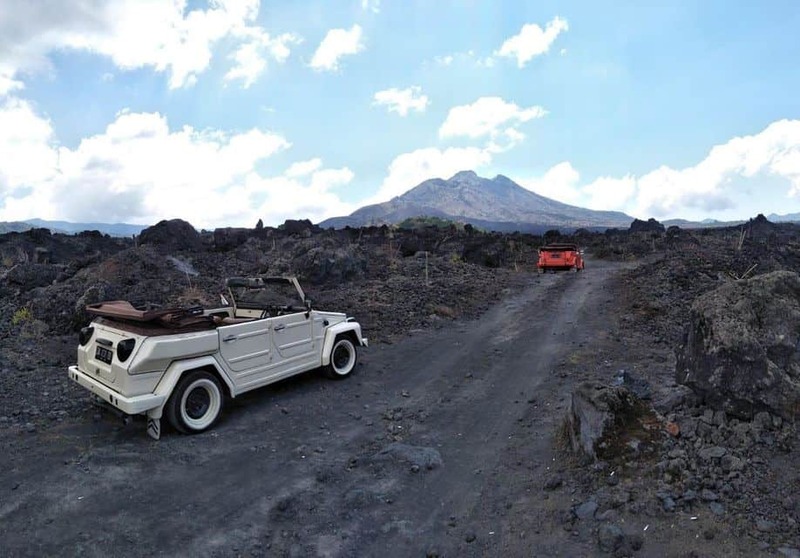 If the prospect of climbing Mount Batur seems daunting, this tour is a fun way to head to the top of the volcano and take in the awe-inspiring views. The jeep allows your guide to take you off-road up the mountain and adds a sense of adventure to the experience. You will also visit rice paddies, coffee plantations, and enjoy a traditional lunch. The tour finishes with a trip to natural hot springs where you can unwind after a long day of travel. Hotel pick-up and drop-off from most resorts on the island is included.